Dream-Cash was developed by some of the most experienced marketers in the industry. With over 20 years of experience in the market place, and a deep understanding of consumers, Dream-Cash has been engineered from the ground up to ensure we meet and exceed the conversion rates you see from our competition and give you the ROI you're looking for! Yes, our affiliates are very important to us but it doesn't stop there. Keeping member's around month after month is key to making money. Besides offering exclusive content we've migrated to the all mighty Elevated X Content Management Software (CMS) to ensure that our members have every possible feature. We are always evaluating current technology to ensure we turn more of your traffic into sales. By leveraging heat map technology and extensive A/B testing we are able to offer a higher then average ROI on your traffic turning more traffic into $. Use the Dream-Cash Pay Per Signup program and you will receive $35 for each signup you send to anyone of our sites. We have tons of different sites and niches that are guaranteed to fit any traffic you have. Each site has been beta tested and refined to ensure the highest conversion ratio possible to help maximize the return on your traffic. By using the Dream-Cash Partnership Program, you receive up to 65% revenue on all sales for the life of the member! The more sales you send us the higher your partnership payout grows. Your payouts automatically increase from 50% up to 65% on all initial sales & rebills. We believe in our products and feel that this is the best program for webmasters looking for a consistent and reliable income stream. When you refer a webmaster to Dream-Cash and he or she sends sales to any one of our high converting sites, you get 10% on all the initial sales as well as all rebills that he or she makes! SPREADING YOU SUCCESS WITH DREAM-CASH WILL QUICKLY ADD UP TO AN EVEN BIGGER REVENUE STREAM FOR YOU! With over 1 Million Images, 11,800 picture sets, 5,600 models, and 1,000 High Quality Videos, TeenDreams has grown into one of the webs biggest, and most respected Teen Mega Sites. Running 9 Years! Its the highest rated Teen Site at almost every Adult Review Site on the Internet! With nearly twice the content of its nearest rival, LesArchive is destined to become one of the top Lesbian paysites on the net! An awesome tour with 100's of Hi Res samples and a complete tour of the members area just like TeenDreams, will guarantee those signups come in! The TeenDreams Network is going to become the largest Solo Site Network on the internet. We plan over 100 solo girl sites in one Network. Membership to one gives access to them all for one low monthly membership fee. Our top selling TeenDreams Network site features the stunning 21 year old Denisa from Czech Republic. We plan over 100 solo girl sites in this Network. Membership to one gives access to them all for one low monthly membership fee. Cute18 year old Ira is exclusive to the TeenDreams Network, and has become the second best selling site in the network so far. We plan over 100 solo girl sites in the Network. Membership to one gives access to them all for one low monthly membership fee. The latest TeenDreams Network site features stunning Czech model Monika Vesela. Having worked extensively with Monika to produce the site we have loads of exclusive photo sets and video of this stunning girl. 21 year old Suzie from Czech Republic was shot exclusively by our own in house photographers for the SweetSuzie site. Its quickly become one the best selling sites in the Network to date. Membership to one gives access to them all for one low monthly membership fee. The latest TeenDreams Network site features stunning Hungarian model Eva Angel. Having worked extensively with Eva to produce the site we have loads of exclusive photo sets and video of this stunning girl. Vicky was the third site added to the TeenDreams Network. Membership to one gives access to them all for one low monthly membership fee. WThe latest TeenDreams Network site features stunning Czech model Zuzanna. Having worked extensively with Zuzanna to produce the site we have loads of exclusive photo sets and video of this stunning girl. Dream-Cash uses the NATS affiliate system to track your sales and traffic statistics. It gives you all the tools you need to make sure that you are as successful as possible. NATS allows us to give you tons of updates and improvements to help you keep track of all of your sales and income with Dream-Cash such as: Real-Time Stats, Track Raw, Unique, and Qualified Clicks in Real Time, Full Tracking of Referring URLs, Fully Detailed Stats Interface, Full Campaign Tracking with Unlimited Campaigns, and a Hosted Gallery Dump Tool with Configurable Format. Dream-Cash has been a trusted name in the adult community since 1997. Over the years we have been know for our fresh quality content, solid customer service, as well as our reliable on-time payouts done at the first of every month. We know that the improvements to the Dream-Cash affiliate program will help you increase your overall sales and revenue, so we look forward to sending you even more money in the years to come. Please do not hesitate to reach out to us for anything you might need. At Dream-Cash.com, we have always prided ourselves in making tons of tools available to our webmasters to ensure that they have everything they need to successfully promote our sites. By adding the NATS affiliate system to our program, we know that we will be able to offer you even more tools in a convenient and reliable system that will help you promote us even more. If there is something that you are looking for that we don't have, let us know and we will do our best to get it for you. Dream-Cash now offers FREE Hosting accounts to active* webmasters in the Dream-Cash affiliate program. You send us sales, and we'll foot the bill for your hosting! It's as simple as that! We know that content is king so here at Dream-Cash.com we provide our members with fresh quality content that keeps them recurring month after month. We also make sure to provide our affiliates with great content sets and promo content to ensure that you have all of the tools that you need to effectively promote our lineup of sites. If you need more content than what we currently offer or access to create your own custom clips for promotion, please let us know, we'll set this up for you! Dream-Cash has assembled some of the best talent in the adult industry to keep our sites and program at the forefront of what we believe a solid affiliate program should be. Our group of industry professionals have nearly 40 years combined of experience in all facets of the adult industry from new niche development, internal traffic, technical and affiliate support, as well as producing custom content. If there is something that you need from us to help you further your success and promotion with us, we have someone on staff that can definitely provide that for you! We appreciate your support of Dream-Cash.com, and are here to help and support you in your future success with us! Do you have your own sites, or your own content, and are looking for another solid revenue stream? Did you know that Dream-Cash.com specializes in partnerships with other sites, programs, and content producers to give another venue to use their content to make even more money. Dream-Cash.com has assembled some of the best talent in the adult industry to keep our sites and program at the forefront of what we believe a solid affiliate program should be. Our group of industry professionals have nearly 40 years combined of experience in all facets of the adult industry from new niche development, internal traffic, technical and affiliate support! We provide all of the hardware, software, and thousands of affiliates to promote your content with us. Please contact us to find out more by clicking here! The Hands-On Support Team at Dream-Cash.com will be there every step of the way! Please meet our courteous staff! My name is Ed and this is my beautiful wife Lori. Together we own and operate Dream-Cash. We've put together a wonderful staff of courteous, seasoned webmasters, designers, and programmers to help you along the way. 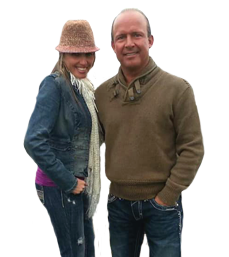 No matter what you need, our staff, including Lori and myself are all here to do whatever we need to do to make your promotion of Dream-Cash as easy and as profitable as possible. Feel free to contact Lori about any accounting questions you may have or Mark our GM for anything else and we'll get it handled. We understand that in order for us to make money, you have to make money, so we want to make sure that all of our affiliates are well taken care of.